True Mother addressed the group during the Opening Ceremony, encouraging them to develop their pure hearts to spread the blessings that they receive to the world. She said that we are like pure water from a deep source that can naturally overcome any obstacle through giving true love. Flowing water can get through any obstacle in its way. She encouraged them to dream big and take ownership of their own lives, and spread the Blessings to others. The people involved here are all very open, supportive and kind to each other, despite the language barriers. We are just at the beginning of the workshop and the spirit is already very high. Five of our European brothers and sisters are taking part of this, and one staff member from the ESGD. We are very grateful to be part of this, and hope to share this blessing with you in one way or another. The workshop is held from the 22.7 to 4.8 this summer, sponsored by the WonMo PyeongAe Foundation. 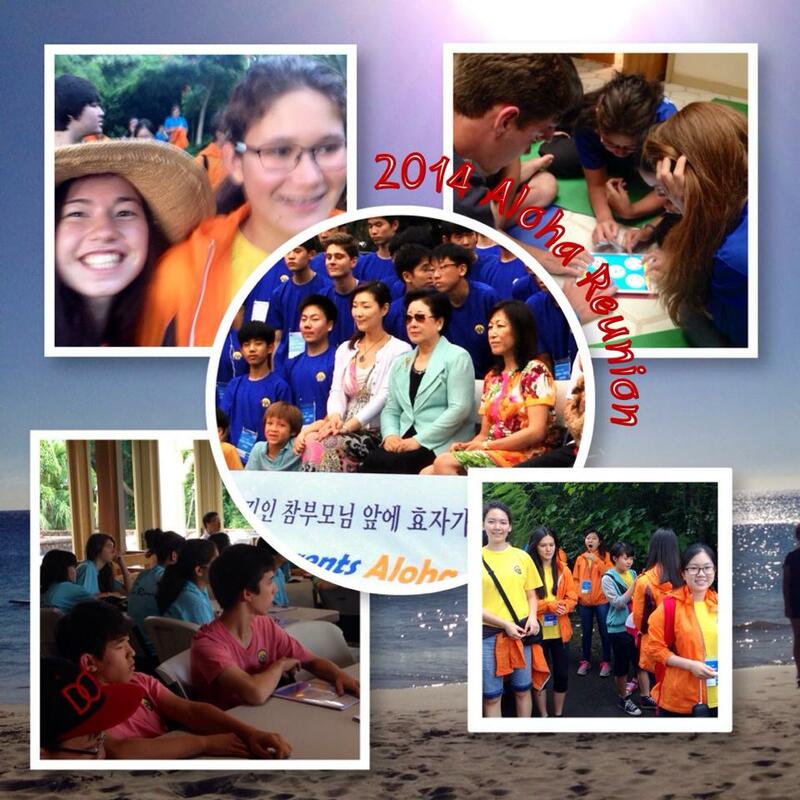 We ask for your contribution of positive thoughts and prayers for True Parents, True Family and the Aloha Reunion. Mahalo!